One of the most popular and effective ways to get people to find out about your online business is called search engine optimization, also called SEO. You may have heard about this before. However, you might not be completely familiar with what it involves. SEO uses specific phrases and words that have to do with your business. These are phrases and words that people will commonly search for when researching their chosen topic. The phrases and words are added to your site in the hopes that the algorithms used by the major search engines will pick up on them. SEO that is done correctly will allow your site to be positioned at or near the top of the search listings. This means that an enormous amount of people will see and visit your site who otherwise would have never heard of it. SEO is not something that you will be able to do on your own. You will require the assistance of someone who has a great deal of experience in the SEO field. New to SEO? Check out this new blog dedicated to SEO at GainSEOStats.com. You might be fortunate enough to know someone who already has an established blog with a fairly big following. If this is the case, you should use this to your advantage. You can ask your friend if you can write a guest post on whatever topic the blog is known for. However, you can also place a few subtle mentions of your new online business in your blog post. Be careful not to make your blog seem like an advertisement. Just mention your site once or twice and include a hyperlink so it will be easy for readers to check it out if they are interested. Try to write as many guest blogs as you can for your friends who have been blogging for a long time. The best marketing methods are the ones that cost little or no money. This is especially true during the beginning stages of your business when money is very tight. There are many companies that offer email marketing campaign services. An email marketing campaign is used to target many people who could possibly be interested in what you are selling. Emails are sent to them which include information about your online business. The goal of your email campaign is to get these people to visit your site and make some purchases. Indeed just amazing and interested information about blogging. I think here you explain everything. So thank you very much for sharing. I just started my blog and i was looking for some info to help me to grow my reach..Yes i agree that SEO is one of the most important factor. One thing i would like to say that social media is also important as it can get you a lot of traffic. Another great way to market your business and doesn’t have to cost anything is using social media. Facebook and Twitter are great platforms to start with. I agree about the email marketing point. It’s the best way to keep in touch with readers and offer them value or business offers. 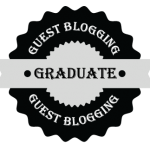 Guest posting is an excellent choice for you and your blog. You can interact with fellow bloggers and show your blogging talent at the same time. Also, it’s an ideal way to boost your blog’s traffic. SEO is something one should always do but the benefits of it kick in after a few months. Guest Posting is a great way to start for new bloggers. It gets you SEO juice as well as some referral traffic. Agree with Rsoft its a good article for newbie, guest blogging is one of the best way to develop any blog. but how to get good articles that grab more traffic ? what kind of article will make huge traffic ? Great article. This is very useful resources for newbie to blogging and business online. Another great way to market your business and doesn’t have to cost anything is using social media. Thank you for sharing this important information. this information helps many people in this post explanation about new blogging and on line business. in this post give some important points in deep. in this also explain about guest blogging in brief. Thank you for this great post and sharing with us. This post helps many people. Thanks for giving a nice important on to develop an effective strategy to promote a site for beginners. I really like the way you wrote and points you mentioned here are great. There is no doubt that in these days guest post helps a lot and by this bloggers can easily get relevant, hq backlinks from other blogs. Also google loves these type of backlinks so guest blogging is in the list of SEO in 2016. I Read Carefully this article & enjoy this article about blogging business ,thank you for sharing this article in publicly . Thank you for sharing such amazing article, I just wanna ask, how you get email addresses from your content niche people, do you find it on google? really informative post, most importantly because it’s about Business and marketing, only reason blog force me to read it completely . liked marketing tips that you shared with us and one more thing you got one more fan or you can say a regular reader. Thanks For the Valuable 3 points.For sure it is the most valuable and authentic Info. I want to know which is the best SEO plugin for Wordpress. I’m currently using All in One SEO pack. Should I stick with it? Great question. Yes, All-In-One SEO is a good one. I have used it. I happen to use another plugin, but it is a good plugin and I would recommend it. Good post. It will give knowledge to the new bloggers and business websites about basic SEO practices and content marketing. Thanks a lot for this writing. These 3 steps are very nice to populate our blogging.Great Post! Yeah, that stuff is great ‘n all, but I firmly believe that you go where the people are! And that’s (where else? )…SOCIAL MEDIA! I know not everyone is in love with social media, but if there’s one thing we’ve all learned as bloggers, it’s that you must be willing to step outside of your comfort zone in order to grow your blog. Look, it took me a long time–years–to get with the program; but it must be done. a)Follow People – how else would you get their attention? b)Interact – the point here is to BE SOCIAL! Converse, joke, ask questions…mix it up with folks! That WILL get you noticed! c)Promote – this one ain’t so obvious. I’m not talking about promoting yourself, I’m talking about promoting other people. Promote new members, up-and-comers, interesting/smart/funny people, you name it. This will have people checking for your content, because they know you recognize users. *And every-now-and-then (at first), promote your stuff. If you do it like this, people WILL check you out! I would suggest a 10-1 ratio to start & whittle it down over time to about 5-1. I agree 100% with the guest post part. I am personally a big fan of guest posting ( although I don’t do it quite a lot ), but still I love it. These days, I am focusing more and more on guest posting on wide array of blogs and publications. There can be a separate article itself on blog guest posting. I’d like to recommend it for a may be a future blog post. I am not new to blogging but I am unable to get traffic to the site. Now I am planning to start the marketing tactics that you have mentioned in your post. Sure thing. Glad it helped! Please do stop by and let us know how it goes for you. Its very useful . Great post ! Remarkable article for blogging and business beginners..Truly appreciate for all your ways which you explain here completely. Thanks for the feedback, Gunjan. It is really helpful to know what is helpful (is that redundant? lol). Seriously, though, the feedback is so helpful. Yay! This is so great! I definitely agree that guest blogging is also a strategy to market your blog! Very true, Mike. That strategy has existed since the days of Corey Rudl and the Internet Marketing Center. I know. I was one of the top five most requested authors and it certainly put our business (hosting and domain registration services) on the map in those days. Blogging is the best way to get traffic to our website or blog. Your post contains the very most important point which are effective in Blogging. Nice Post. Your article is really helpful. I am working on a new website and I am relatively new into word press and website development. Thanks for suggesting the best ways to deal with panda and penguin effect blogs and forums are the best way to get in notice of search engine in a real way…. I am using SEO it’s really very great plugin even in Free version. Thanks for sharing this informative article Its very useful . Great post ! Hello, Al-Amin. True, there are some SEO plugins that have the sitemap component built into them. I think I would be careful how we state it, because there are so many different paths that lead to the same place and we definitely don’t want to confuse those who are new. For example, I prefer to use the SEOPressor plugin and it does some things that Wordpress SEO does not do and yet I choose other methods of accomplishing the same thing. Thank you, though, for your feedback. It is much appreciated. Nice article u gave the better information to develop an effective strategy to promote a site for beginners. Hey, thanks for sharing. All you put here is very helpful. Thanks, Mike. Your comment is appreciated. And, please do return and be sure to provide us with a link (using our CommentLuv commenting system) to one of your blog articles. Sharing is welcome in our community. Blogging has given me such amazing opportunities such as now being able to earn an income. Really enjoyed this! Oh so true! I know they say that patience is a virtue, but it is a necessity for SEO. That and believing that you, too, can make it! It’s wonderful information. This post helpful and useful for me. In this post give good information in detail that helps people. I like this post. Thanks, Narendra. I think you might be too kind, but I will accept that. Thanks, again! Thanks For the Valuable 3 points.For sure it is the most valuable and authentic Info. I must say you did a hatrick 😀I like this post. Thanks for sharing this nice post. In this post give good explanation in detail that helps people and in this post also give some points in detail that helps people. It’s great post. Thanks for sharing these useful tips with us. guest blogging is one of the best ways to improve the ranking of the site and it’s free and easy to manage. Nice post Great article .Thanks for sharing . Thanks for sharing! Email marketing is one of those marketing methods that never seems to die. Good to know that top marketers still praise it. Great tips! Blogging is a great career option if you have a passion for writing and good knowledge on the subject. Search engine optimization, quality backlinks, and marketing techniques will make it profitable and divert regular traffic to the contents. Well, as per me, the 2nd step i.e. Guest Blogging is much better in many other aspects. Guest blogging help us get connected with like minded people and give us opportunity to show our skills in front of the new audience so that we can help them and can also attract them towards our blog. Guest blogging is mostly used top get just backlinks but If someone can do it the right way then there are many benefits a person can get from it. However you have written a great article. Previous post: A Crowd-Sourced Research Article: What Do People Really Want on the Internet?